I have been away at the “Living Our Vows” conference this week, a part of the College for Bishops, known sometimes as “baby bishops’ school.” It is part of the formation programs for bishops in our church and we attend one week each year for the first three years of our episcopate. The Living our Vows Conference is held at the Roslyn Retreat Center in the Episcopal Diocese of Virginia. So what exactly do we do at this school? There are classes and workshops on a variety of subjects punctuated by worship and meals and time for fellowship. The class topics include theoretical work in systems theory and organization development; training for working with the media; a deep dive into canon law, especially regarding property issues and ecclesiastical discipline; mutual ministry reviews and goal setting; conflict resolution; liturgy and the Book of Common Prayer; and Adaptive and Complexity Leadership. We also prepare case studies to present in small groups and receive coaching and feedback from our peers and senior bishops. It is a lot to swallow in five days. During the in-between time, we gather in the beautiful chapel here at Roslyn for prayers and bible study. We eat wonderful meals prepared with a southern flair (grits, fried chicken, okra, catfish, smoked pork loin, key lime pie) and gather around large round tables for fellowship with our colleagues. Ah, there’s the thick of it: the colleagues. Each class of bishops (those ordained in the same year) develop a closeness that helps to sustain us in our work- work that is fairly isolating. 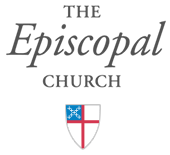 While our jobs take us into relationship with hundreds, yea, thousands of people, at the end of the day, for most of us there is just one bishop per diocese, just one person in each ecclesiastical geographical unit, who is doing the work of the episcopate. And so, it is a joy to come together to share our experiences, our dreams, our plans and, in many cases, our failures. Some of the best learning comes when we can share, “oh, man, I really messed up when…” and then there are nods of recognition, a few laughs and sincere support and reflection on what we learned and how to avoid a similar situation in the future… My colleague group includes bishops from all over our church: Florida, Alabama, Texas, Oregon, the Dominican Republic and Quebec. Quebec? Yes. We are blessed in the Living Our Vows program to have teamed up with the Anglican Church in Canada and so we have our Canadian brothers and sisters among us- between our three classes, there are about 6 Canadians, 30 from TEC (The Episcopal Church) and a faculty of five or six resident bishops and another five or so professionals (bishops and others) who come in for a day or two to teach in their content area. The Rosyln Center is set on several acres of rolling green hills in Richmond, surrounded by tree-lined streets with gracious homes. The neighborhood is wonderful for early morning walks and jogs as the world wakes up and the day gets started. That’s where I’m headed, now. Home to you all on Friday.